Wood Green is dominated by a great red brick hulk of a 1970s shopping centre, called Shopping City (or at least it was when I lived there in the 1990s). It’s been Riot City in the past. 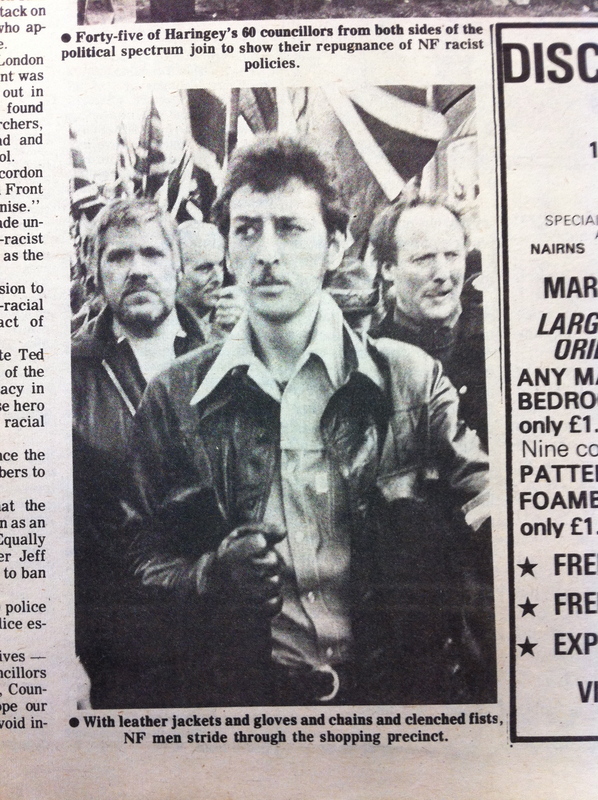 One major disturbance was in 1977 when the far right National Front marched through an area that then, as now, was ethnically mixed and very cosmopolitan. The result was inevitable. 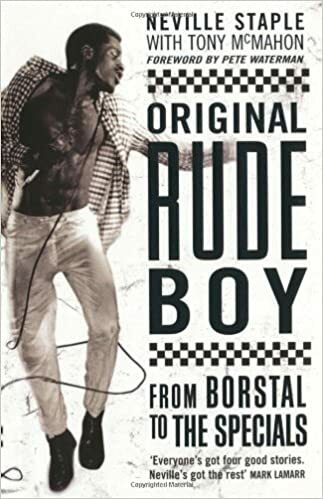 Throughout the late 70s, fascists and anti-fascists faced off up and down the country as racist parties thrived in an atmosphere of economic decline and growing unemployment. The Wood Green clash led to fifty arrests and thirteen injuries as a result of broken bottles, stone throwing and smoke bombs. Reportedly, something resembling a bullet was fired through a shop window and one witness claimed a National Front marcher had been aiming at two black children – an unsubstantiated allegation I should point out. 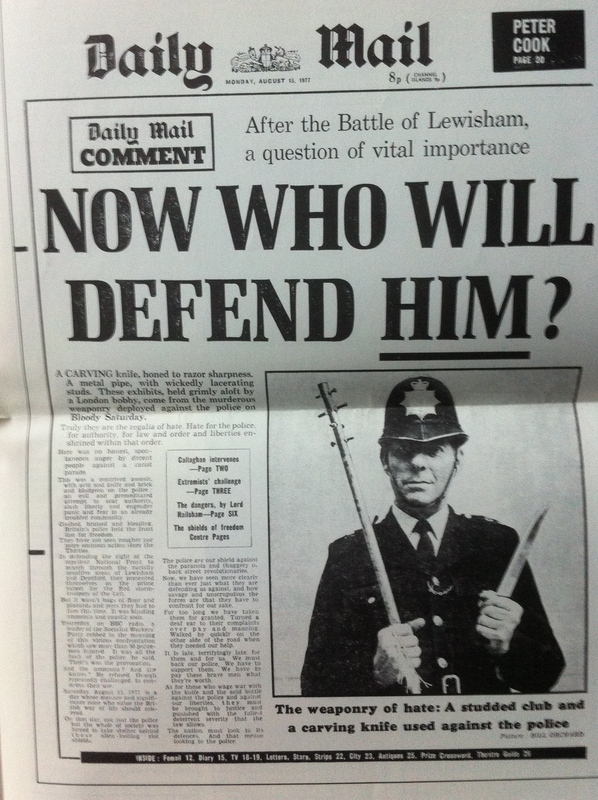 One press report said the Wood Green incident was the biggest “race demonstration” since a notoriously violent fracas in Red Lion Square in 1974 when a student was killed fighting the NF. 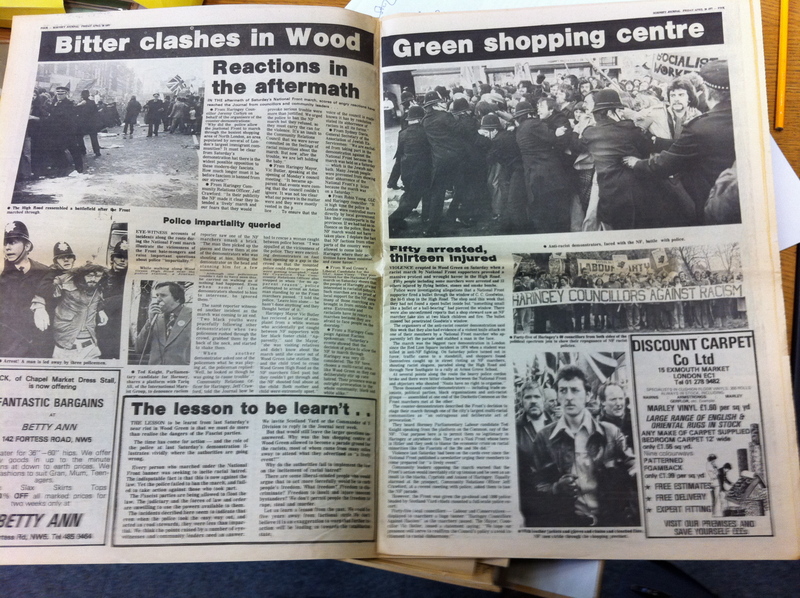 In Wood Green, the police line broke several times and demonstrators got to lash out at each other at close range. 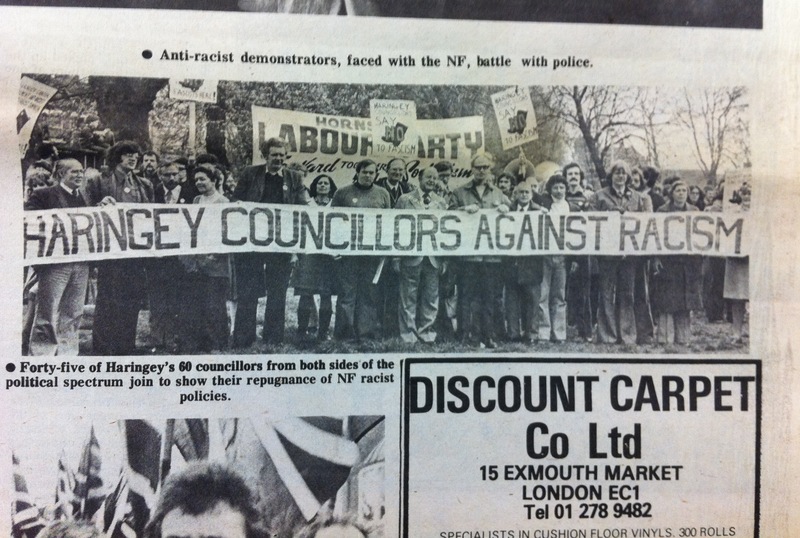 During the 1979 General Election, the NF continued to be a very vocal presence and provoked a riot in Southall, London. 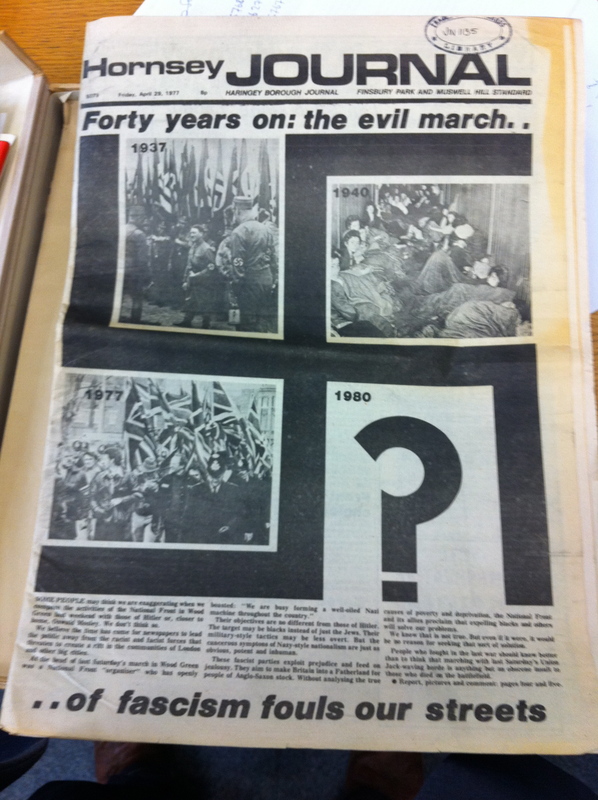 But after the Thatcher victory, the NF diminished as a force and after various splits and fall outs, the British National Party would eventually emerge as the main far right party. 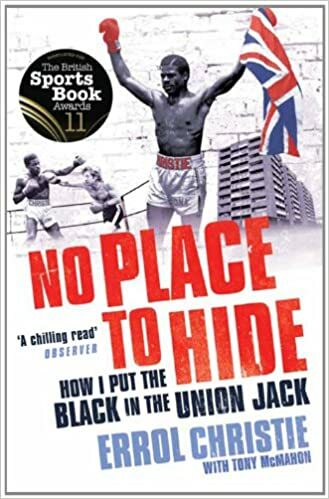 The lives of working class black families were a terra incognita for most white British three decades ago. 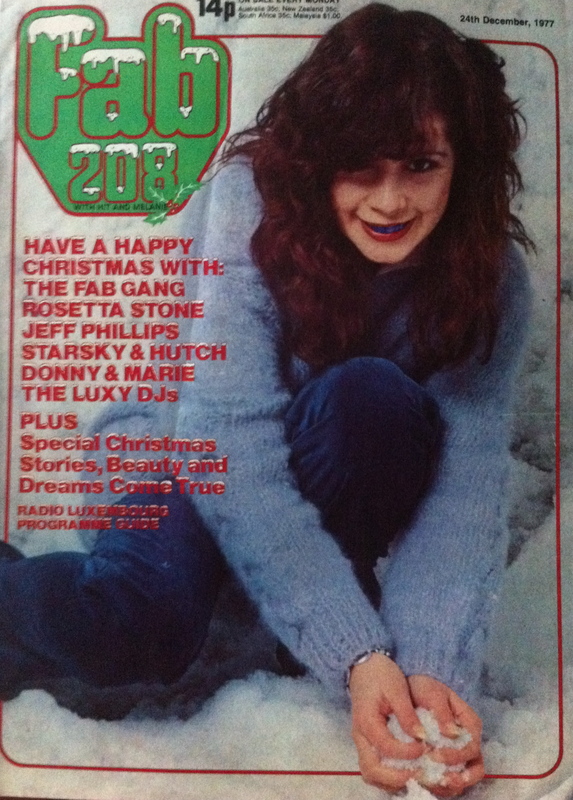 So it was unusual for the Christmas issue of a popular teen mag called Fab208 in 1977 to lead with a single parent family who were dreading the not very festive season. 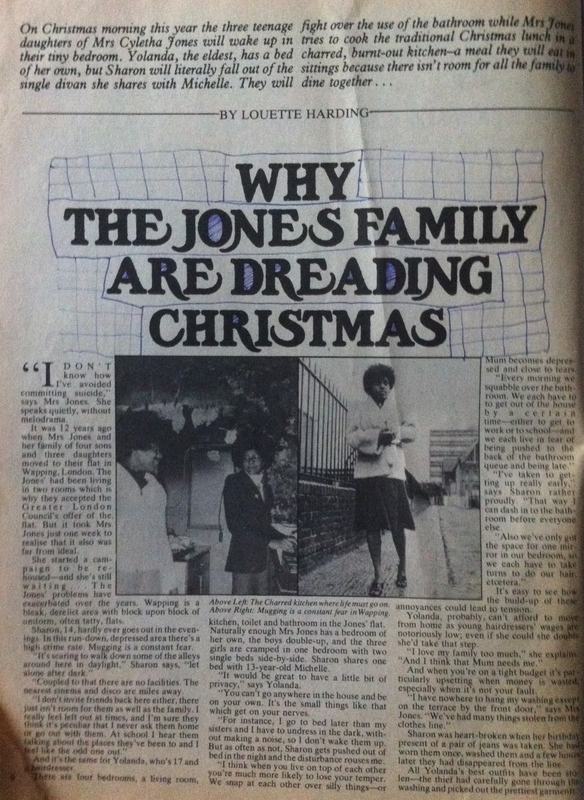 “I don’t know how I’ve avoided committing suicide,” Mrs Jones told the magazine ahead of glossier pages on the Bay City Rollers, Starksy and Hutch and the Osmonds. With her four sons and three daughters, they were crammed in to a cold flat in Wapping with a kitchen gutted by a cooker fire. With so little room inside, Mrs Jones hung up the laundry on the terrace by the front door but clothes kept getting stolen. Sharon had received a pair of jeans for her birthday, worn them once but after a single wash, they had been spirited away. Yolanda, aged 17, noticed that the thieves went through the laundry looking for the best outfits and left the rest. As an older teen, she was fed up of the lack of privacy having to share a bedroom with her two sisters. Mrs Jones had fallen in to £200 of rent arrears though she said this was a protest against the GLC, their council landlord, failing to repair the badly charred kitchen. But being behind on payments meant that the GLC was refusing to re-house the family until they came good on the debt.